greatest goalkeepers in the world! casillas had a fantastic world cup and is considered the world's best goalkeeper. spaniards are the world champions, very true. mostly their midfielders are the best in the world. but when you look at global goalkeeping, it might come as a surprise to some that five out of the fifteen best goalies were born in iberian territory. which is frustrating for anyone who is not iker casillas, the nationl team’s number one for almost a decade, and still not in his thirties. pepe reina, liverpool’s goalie, and victor valdez, from fc barcelona, have the bad luck of having the same age and practically no chance to become number one. diego lópez, who defends villarreal fc, could make the same claim; he is rated the 13th best goalkeeper in the world, but probably won’t even be in the spanish squad for euro 2002. there is more hope for atletico madrid’s david gea, the young europa league champion. he’s still 20, might have a shot for the euro 2002 squad and, who knows, a spot in the spanish national team as number one after the 2014 world cup, if spain defends their title. 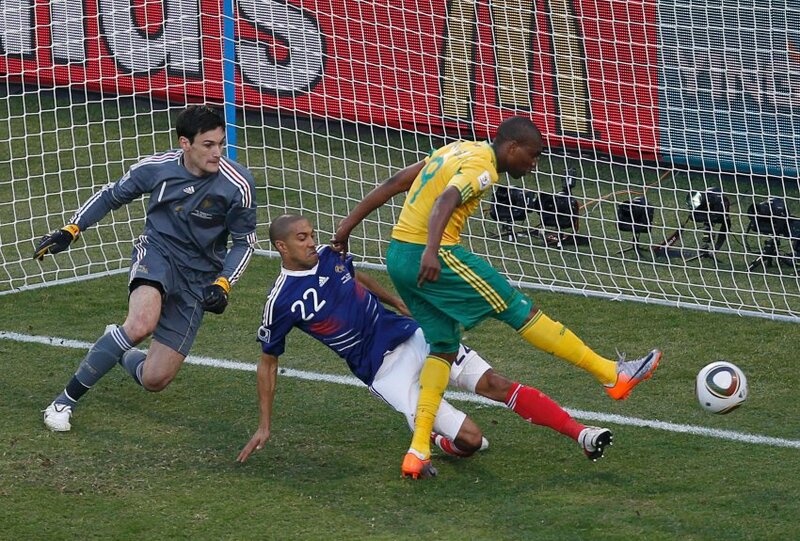 no chance for lloris here, against south africa. the italians have kind of a crisis. in the 90s, they had three or four world class goalkeepers, and buffon was just one of them. now, he’s the only one, but he hasn’t played this season yet, due to his world cup injury. french keepers are on a high. it used to be barthez and coupet, now there are three keepers within the top 12: hugo lloris from olympique lyon, 24 years old and the current number one; sébastien frey, 30 years old but still great for fiorentina; and steve mandanda, long-time olympique marseille coach, but still only 25 (a pretty young age for a goalie). one might also mention cédric carasso, bordeaux’s very good goalkeeper, who is also part of the world’s top twenty. brazil had never been famous for their goalkeepers; they used to have one or the other, but now, they have three top keepers: julio cesar, arguably the best goalkeeper in the world (he kind of lost this title to casillas, though), won the champions league for internazionale after fantastic matches against chelsea and barcelona. gomes, tottenham’s gk, was voted best goalkeeper in the premier league. and diego alves, playing for spanish side almeria. the 25 year old goalie made a name for himself playing for atletico mineiro in his native brazil, and milan has been interested in his services. neuer was great at the world cup and has had a fantastic semester for schalke. germany has a great tradition in goalkeeping: from sepp maier over toni schumacher to oliver kahn and jens lehmann, all of these have been considered top; and this without mentioning bodo illgner, who won the world cup for germany and the champions league for real madrid. currently, there are quite a few young keepers in the path of a great career. manuel neuer is the top name; he’s been at schalke 04 since he was 4, but it seems that his next career step will take place this summer. manchester united and bayern munich seem the most likely choices. rene adler would have been germany’s number one if he hadn’t injured himself a few weeks before the world cup. 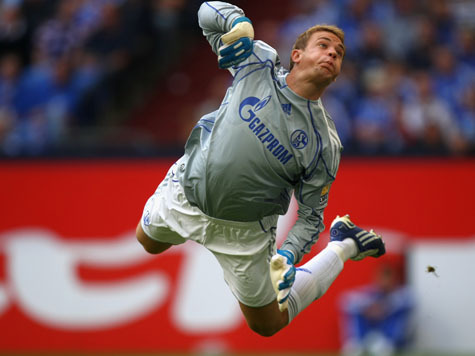 he is germany’s second top ten goalkeeper; tim wiese, from werder bremen, is already 29, but still considered to be amongst the greatest 20 in the world. other goalkeepers worth mentioning here are petr cech, still very valuable for chelsea; igor afinkeev, for me still a candidate for the title of greatest goalkeeper, at some point in the future; diego benaglio, the great swiss goalkeeper who rose to fame in this year’s world cup; the american tim howard, who does a very solid job at everton; samir handanovic, still playing for udinese and slovenia, but a candidate for a much bigger european club; and maarten stekelenburg, trying to follow into the footsteps of his great idol, erwin van der saar (who is playing his very last season for manchester united).